Much of the urban life in Göttingen takes place within the old town walls. All places of interest are at most a leisurely ten minute walk, be it the Old Botanical Garden, the theatre or the many historical buildings. From most of the inner city streets and lanes you can see one of Göttingen’s oldest churches, St. Johannis (St. John’s) with its two different spires. One of the spires housed the loftiest “digs” in Germany. 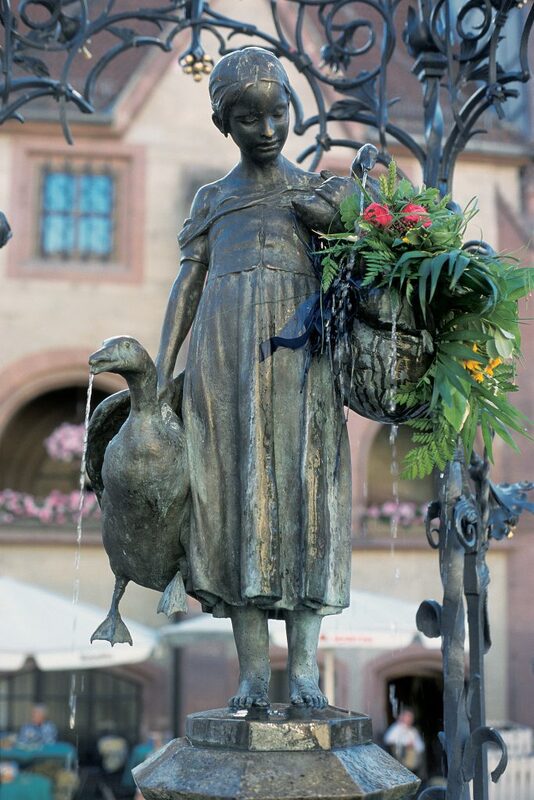 Göttingen’s landmark is the Gänseliesel figure on the fountain at the market square outside the Old Town Hall. This art nouveau statue features a girl herding geese. Traditionally, all new doctoral graduates from the university kiss the cheeks of the statue after passing their exams. This makes her “the most kissed girl in the world”. Göttingen’s town centre successfully combines its origins as a medieval merchant market town with the atmosphere of a modern university city. However, the centre is not a museum or collection of half-timbered houses, but instead each epoch has left its characteristics on the city. This can be seen at the Old Town Hall, built during Göttingen’s first period of prosperity (13th – 15th century) and altered many times thereafter. It originally served the dual purpose of town hall and merchant’s guildhall when the ground floor was mainly used for trading linen, made in Göttingen, to places as far as Belgium and Russia. The beautifully decorated main hall as seen today originates from the late 19th century. The oldest preserved building in Göttingen, on Rote Straße, dates back to the 13th century. Fine examples of half-timbered houses from the 16th century are the Schröder House, the Junkernschänke and the Abel Bornemann’s House. In contrast, the Jacobikirche (St. Jacob’s Church) is a masterpiece of Gothic style that contains a splendid double-winged altar made in 1402 by an unknown artist. The founding of the university in 1734 gave new impetus to the development of Göttingen and inspired renewed building activities which resulted in some outstanding architecture. In particular the Accouchierhaus (1785-1791) which has a widely acclaimed baroque stairwell and was originally the first maternity hospital in Germany. It is now the Faculty of Music. The Great Hall on Wilhelmsplatz (William’s Square) is the main building of the Georg-August-Universität. 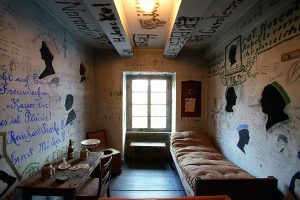 It used to house the detention room for badly behaved students. During the last century, more than 40 Nobel Prize winners have lived and worked in Göttingen, up to the current day when scientists such as Manfred Eigen and Erwin Neher are expanding today’s knowledge. Other illustrious names include Adolf Windaus, discoverer of vitamin D, Otto Hahn, a nuclear scientist, and Max Born, one of the founders of quantum theory. Many buildings display plaques commemorating their famous former residents. Until 1933, Göttingen was considered foremost in mathematics world-wide. It was here that David Hilbert and Hermann Minkowski laid the mathematical foundations for Einstein’s theory of relativity. Another famous Göttingen scientist was Carl Friedrich Gauss who, with Wilhelm Weber, in 1833 invented the magnetic telegraph. 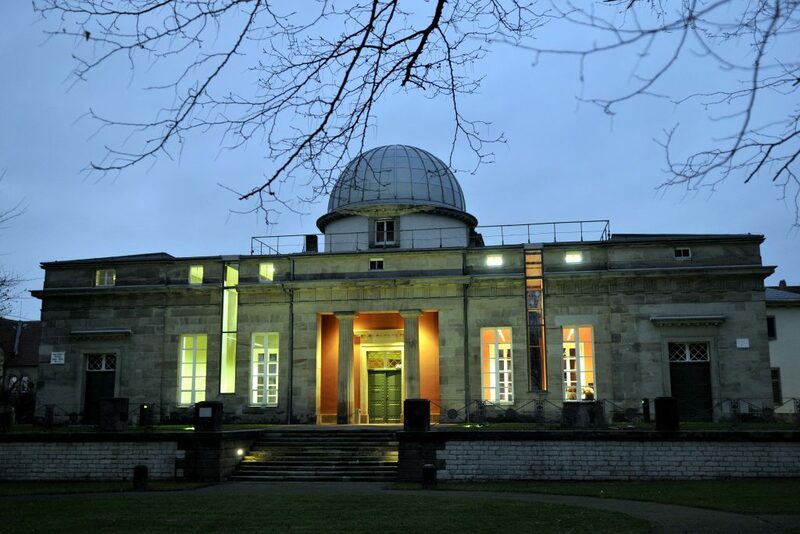 An observatory founded by him is located on Geismar Landstraße. Nearby, at the little square between the rampart and Hospitalstraße, is a monument of Friedrich Wöhler, professor of medicine and chemistry in Göttingen. For the first time in 1827, he presented aluminium in its pure form. In the pavement at the foot of the statue is the formula for urea, with the synthetic production of which one year later he had decisive influence on modern chemistry. Today, the German Centre for Aeronautics and Space Technology, as well as the Max-Planck-Institutes of Bio-Physical Chemistry, Experimental Medicine, History and Aerodynamics are in the forefront of science. Other organisations are employing the latest technology in measuring, weighing and the use of lasers. Above all, there is the Georg-August-Universität with approximately 25,000 students. The new Niedersächsische Staats- und Universitätsbibliothek (university library) houses 5.4 million volumes and is open to everybody. 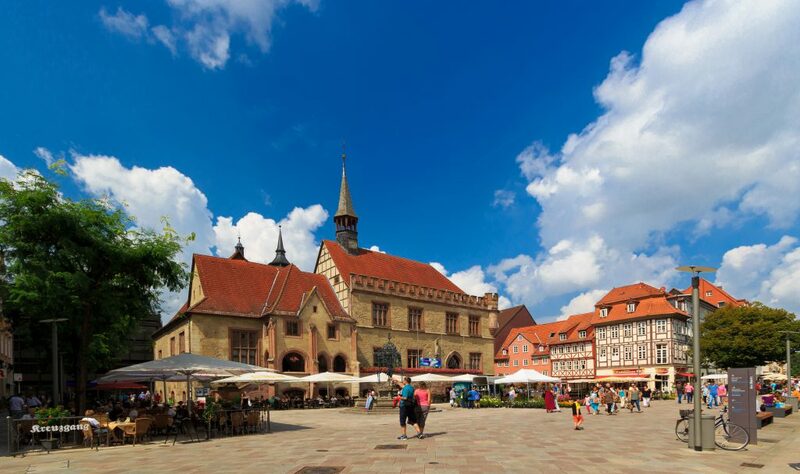 In Göttingen, art history is taught in its entire historical and thematic bandwidth to qualify students for a great variety of occupations in museums, preservation of historical monuments, art trade and institutions of other kinds. A special focus in research and teaching lies on mediaeval and early modern era art history in Italy, 19th century and contemporary pictorial art, historical image and art theories, transcultural interdependence and modern artistic knowledge. Another main focus in teaching is the history of digital art. A speciality of the institute in Göttingen is curatorial training with the institute’s art collection, ranging from use of the objects in teaching to training students to organise their own exhibitions. The courses offered include regular excursions inside and outside Germany and periods of study abroad at European partner universities. 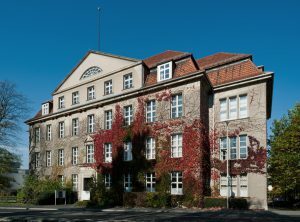 The art history department in Göttingen is a member of interdisciplinary centres, degree programmes and research associations. 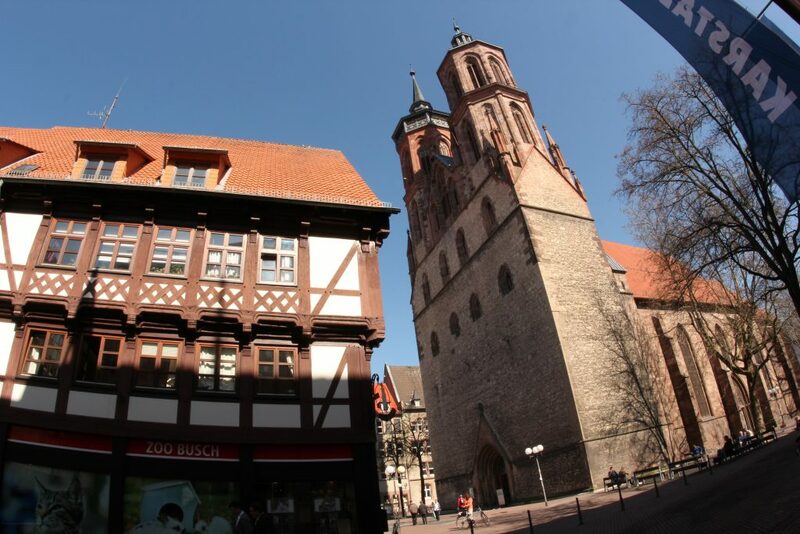 It also cooperates closely with the disciplines of archaeology, history and cultural sciences at Göttingen University. 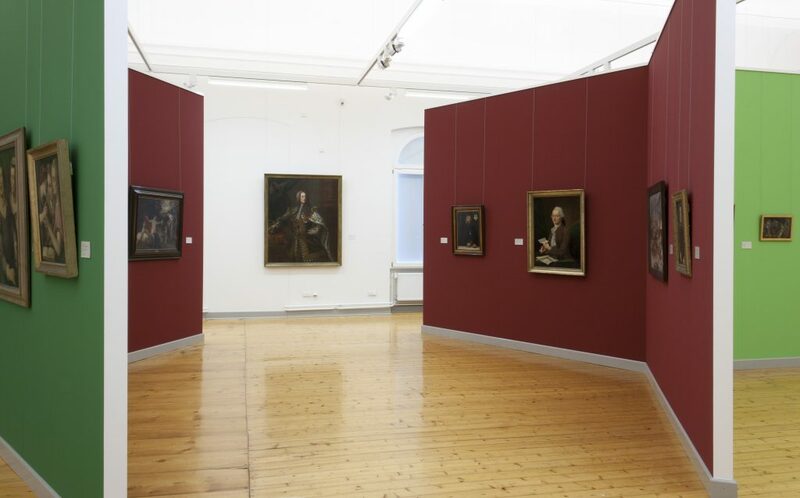 The Arts Collection of Göttingen University is the oldest university collection in Germany and was specifically established for didactic purposes. Its history dates back to the foundation of the Georgia Augusta in the eighteenth century. Therefore, the collection belongs to the city’s earliest cultural establishments. Two important donations form the collection’s core. 1736, the patrician Johann Friedrich Armand von Uffenbach decided to bequeath his considerable possession of prints and drawings to the university. The second constitutive donation of approximately 270 paintings came from Johann Wilhelm Zschorn. Christian Gottlob Heyne, the director of the university’s library, appointed Johann Dominicus Fiorillo as the collection’s first custodian. During the collection’s history, its stock was enriched mainly by additional donations as well as with some acquisitions – often supported by Universitätsbund or the Klosterkammer Hannover – plastic works, artisan craftworks and recently also works by international video artists have further been enlarging the collection’s repertoire. After profound research, Wolfgang Stechow compiled the first scientific catalogue of paintings in 1926. The Göttingen Arts Collection is well known and internationally renowned, especially due to its equipment with outstanding drawings and prints. Thus, institutions from Germany and abroad request both loans of artworks and access for research purposes. 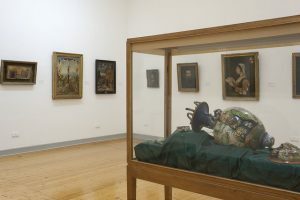 Originally situated in Fiorillo’s apartment, later in the Accouchier­haus among other locations, the collection of paintings and sculptures moved to the Auditorium in 1988, where it is still located today. The Auditorium is an ideal place to house not only the permanent presentation of the collection’s central artworks, but also to stage different special exhibitions. A central aspect is the collection’s incorporation into academic teaching. Students of art history have the special opportunity to work with objects directly and to conceptualise exhibitions on their own. After a perennial period of reconstruction, the Göttingen Arts Collection was reopened to the public in 2011. 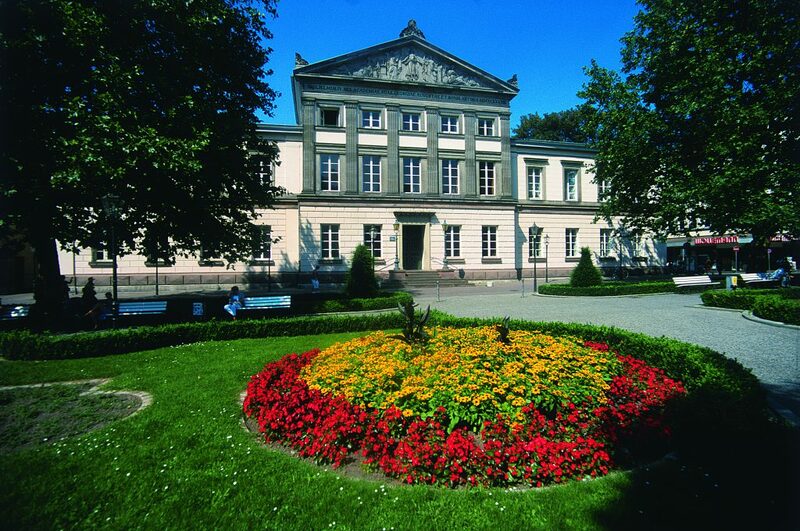 Göttingen University maintains one of the most important academic collection in Germany. Spread across 30 locations on campus, over 70 sub-collections reflect the variety of subjects covered at Georg-August-Universität. They include everything from the Culture Collection of Algae to the Teaching Collection of Pre- and Protohistory and the Museum of Zoology. In addition, there are the special collections of Göttingen State and University Library (SUB) and the Göttingen University Archives. 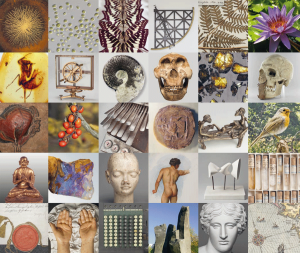 The objects in these collections are a central component of current academic knowledge production and hold a wealth of potential for future research questions and methods. As material academic heritage, they are used for illustration purposes in teaching. They are of great historical interest as a testimony to the history of knowledge and the history of science and scholarship, epitomising the self-image of Göttingen university founded in the Age of Enlightenment. The roots of many of the collections can be traced back to the “Royal Academic Museum”. 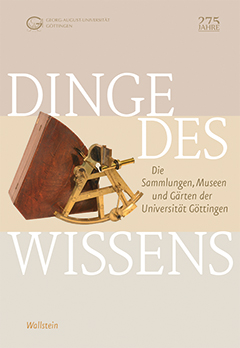 As early as the 18th century, Georg Christoph Lichtenberg stressed that Göttingen University was the “first university in Germany, and perhaps in Europe […] to have its own academic museum” (1779). 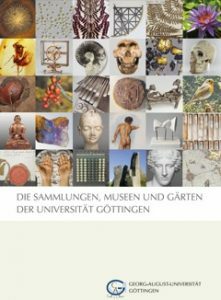 Browse the general overview to “The Collections, Museums and Gardens of Göttingen University” from the Collection Guide and take the book with you. A decisive moment for the future work of the Centre for Collection Development was the exhibition Objects of Knowledge. The Collections, Museums and Gardens of Göttingen University on the occasion of the university’s 275th anniversary in 2012. Exhibition catalogue published by Wallstein Verlag, Göttingen 2012. 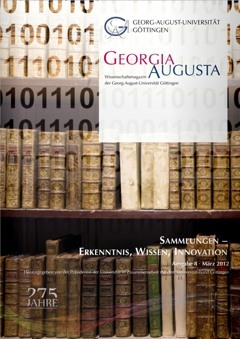 Find out more about the history, the present and the future prospects of the Göttingen University collections in the booklet “Collections – Wisdom, Insight, Innovation” from the Georgia Augusta academic journal (issue 8, December 2011). Göttingen provides a pleasant shopping experience. It offers almost anything you could possibly want as well as the unusual and the unexpected to inspire you with new ideas. 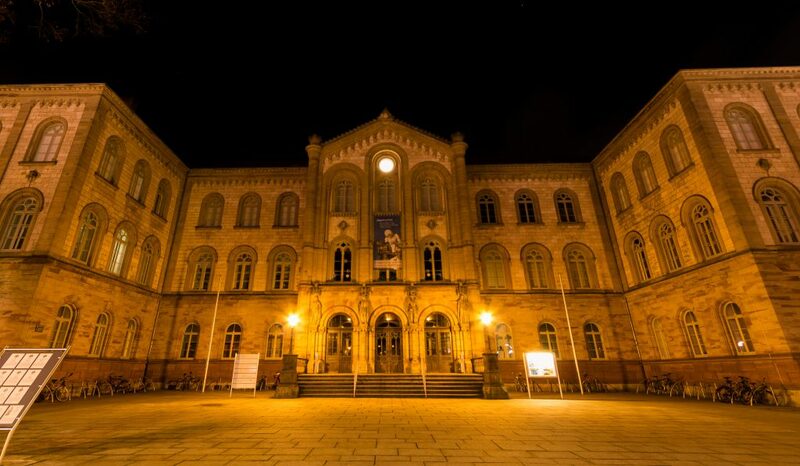 Whatever you do during the day, it is at night that Göttingen’s atmosphere comes into its own. In summer, one hardly notices the shops closing as the streets keep just as busy with people strolling through the city centre. Street cafes, cosy student pubs, bars, and restaurants with menus ranging from home cooking to cosmopolitan cuisine invite you to spend a leisurely and relaxing evening. 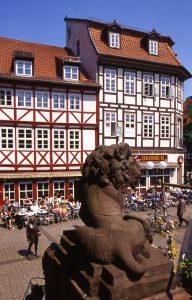 Göttingen’s landmark is the Gänseliesel figure on the fountain at the market square outside the Old Town Hall. 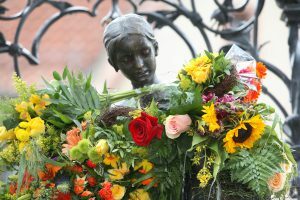 According to an old tradition, every recently graduated doctoral student of Göttingen university has to kiss the symbol of Göttingen, the bronze statue in front of the Old Town Hall. It was mounted in 1901. 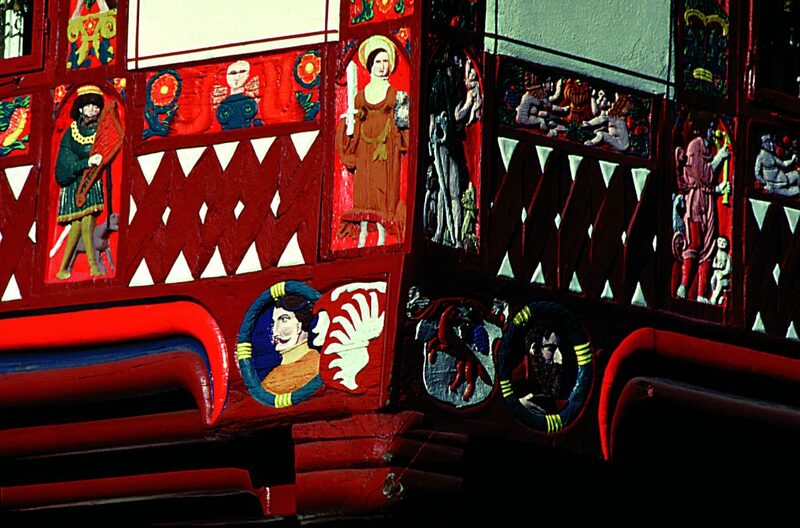 The splendid carvings at the Junkernschänke show a narration of biblical stories. The classicistical auditorium at Wilhelmsplatz was donated by Wilhelm IV. to celebrate the university’s 100th birthday. To this day, it is one of the main university buildings. 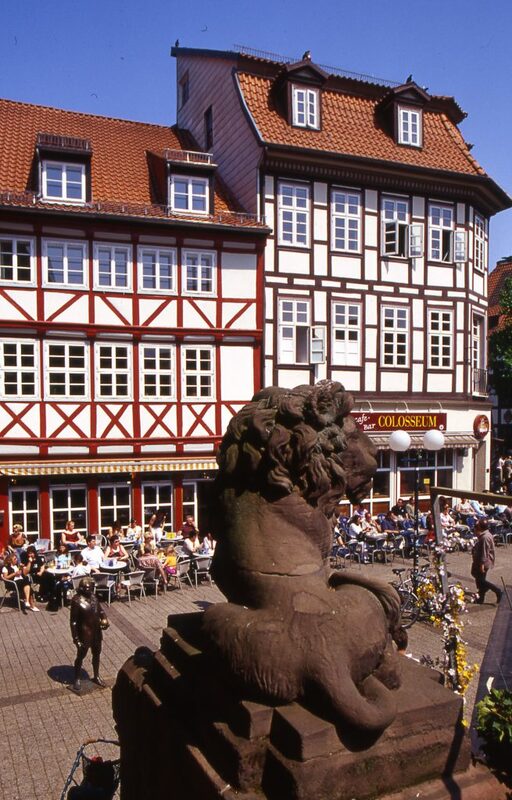 The Old Town Hall was built in Göttingen’s first period of prosperity (13th -16th century). Back then, it also served as a guildhall. 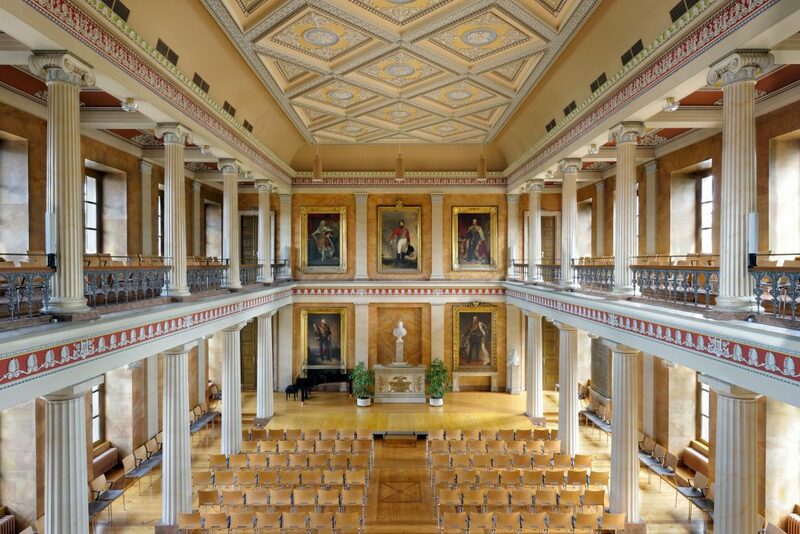 The lecture hall was built 1862/65 and is furnished with statues and portrait medallions of famous scholars and the founders of the Georg-August-Universität. Inside you can find the university's art collection with Flemish, Dutch, Italian and German paintings from the 14th to the 20th century. St. Johannis church was built between 1300 and 1344. It is a gothic hall-church that is shaped by two different towers. 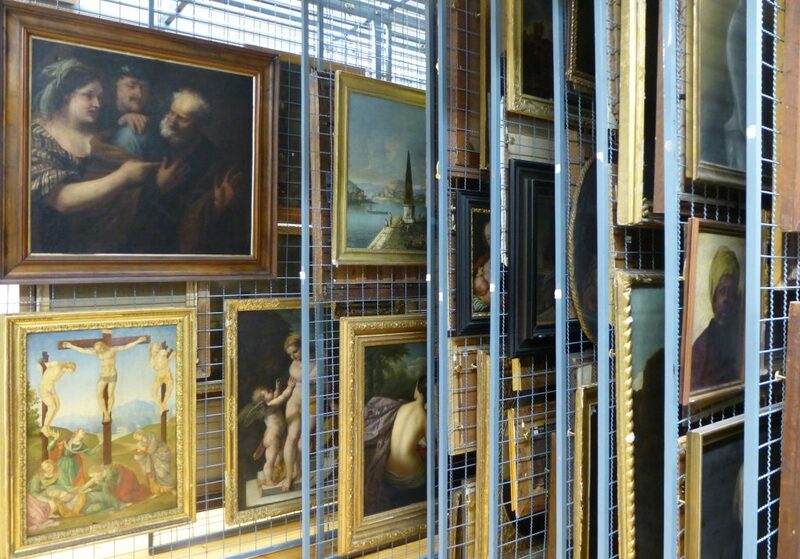 The Arts Collection contains approximately 300 paintings, 2.500 drawings, 15.000 prints and about 100 sculptures. Added to that are roughly 150 works by video artists from around the world. Among the collection's biggest treasures are artworks by Dürer, Botticelli, Rembrandt, and Goya, as well as modern pieces by Nolde, Beckmann, and Modersohn-Becker. Students making preparations in the Arts Collection of Göttingen University. 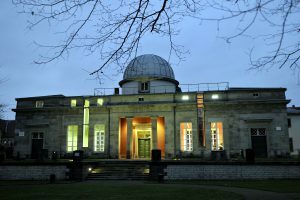 The Royal University Observatory was built from 1803 to 1816 according to plans developed by Göttingen University master-builder Georg Heinrich Borheck (1751–1834).